The subtle, even stealthy, deterioration of fundamentals continues. There’s a fair amount of slippage in the long-term forecasts. As we’ve been saying, it will be interesting when the 2015 estimates begin rolling and Value Line ratchets their 3-5 year forecasts to the next year. 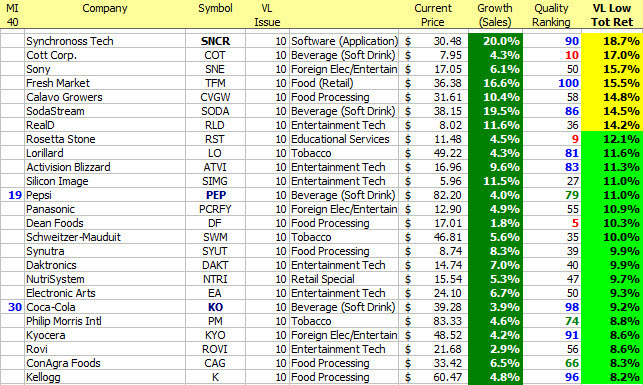 Top 40 regulars Pepsi (PEP) and Coca-Cola (KO) continue to be compelling studies during these times of reduced long-term forecasts.